It is important to remember that every child-parent relationship is different and is shaped by circumstance and a number of other factors. Every parenting style brings about a different reaction from the child. 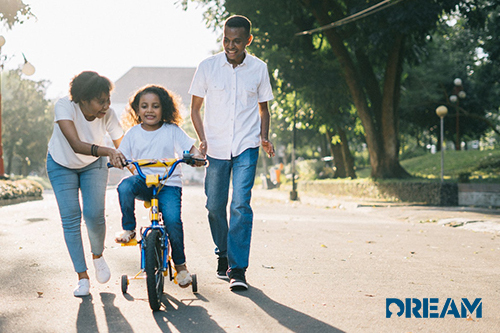 Once you identify which parenting style suites your family, you can develop the tools to raise a happy, healthy individual that is ready to be a part of society. Authoritative parenting is widely recognized as the most beneficial and effective parenting style out of the four. An authoritative parent is known for their high expectations of their children, but also their understanding, support and guidance. This is one of the healthiest environments you can place your child in to grow and develop. This parenting style also values open communication between a parent and child. Permissive parenting is also known as indulgent parenting. These type of parents are known to be responsive, but not demanding. They are lenient, loving, nurturing and steer away from confrontation and conflict. However, this means fewer rules and boundaries leading to less self-discipline and control. By setting boundaries and rules, one can improve this parenting style. Authoritarian parenting is also known as strict parenting. This kind of parent is demanding and unresponsive. This parent-child relationship offers nearly no open discussion and a child is expected to follow a strict set of rules. Discipline and punishment are used to teach lessons and demand obedience. Try balancing out your set structure while allowing for open communication so your child knows why they need to follow a set of rules. Neglectful parenting is one of the most harmful ways to parent a child. It is important to recognize when this kind of parenting is taking place because there may be multiple children at risk of abuse or neglect that need help. It’s also essential to receive help if you or someone you know is being neglected. Children will develop deep-rooted trust issues, absent relationships and a lack of social skills. If this applies to you, seek help and learn the importance of a positive parent child relationship.